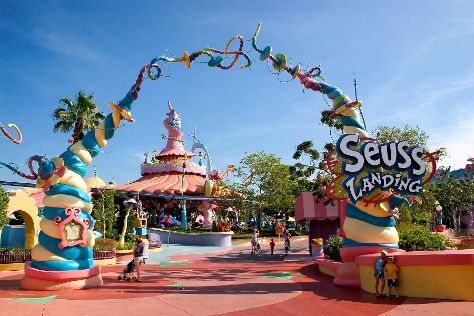 Pack the 19th (Sat) with family-friendly diversions at Universal's Islands of Adventure. Pack the 21st (Mon) with family-friendly diversions at Universal Orlando Resort. There's still lots to do: make an unforgettable trip to Walt Disney World Resort. For maps, photos, where to stay, and more tourist information, read our Orlando trip itinerary planner. London, UK to Orlando is an approximately 13.5-hour flight. You can also do a combination of train and flight; or do a combination of flight and bus. Traveling from London to Orlando, you'll gain 5 hours due to the time zone difference. Plan for much hotter temperatures traveling from London in October, with highs in Orlando at 34°C and lows at 24°C. Finish your sightseeing early on the 21st (Mon) so you can travel to Key West. Spend the 23rd (Wed) exploring nature at Dry Tortugas National Park. And it doesn't end there: see the interesting displays at The Ernest Hemingway Home and Museum, cast your line with a fishing tour, take in the exciting artwork at Alan S. Maltz Gallery, and identify plant and animal life at Key West Butterfly & Nature Conservatory. For where to stay, ratings, other places to visit, and more tourist information, read Key West travel route planner. Getting from Orlando to Key West by flight takes about 4.5 hours. Other options: drive; or take a bus. Traveling from Orlando in October, expect somewhat warmer with lows of 29°C in Key West. Wrap up your sightseeing on the 24th (Thu) early enough to travel to New York City. New York City is known for museums, nightlife, shopping, historic sites, and parks. Your plan includes some of its best attractions: don't miss a visit to Central Park, admire the landmark architecture of Rockefeller Center, pause for some photo ops at 9/11 Memorial, and go for a walk through The High Line. To find photos, more things to do, ratings, and tourist information, use the New York City online holiday builder . Getting from Key West to New York City by combination of flight and bus takes about 6 hours. Other options: fly; or drive. While traveling from Key West, expect a bit cooler days and much colder nights in New York City, ranging from highs of 24°C to lows of 16°C. Wrap up your sightseeing on the 30th (Wed) early enough to travel back home.